The field of prosthodontics deals with dental prostheses. In general, there are two types of prostheses: removable and fixed. Once the ground work is complete; i.e, caries has been treated, necessary root canals have been completed, and the periodontium has been restored, the focus of treatment shifts to restoration and rehabilitation; this is where prosthodontics comes into play. Teeth are required for chewing, removal of sounds, and esthetics. The prosthodontist tries to implement all these requirements while considering the initial situation. If there are no teeth in the jaw, sometimes bone augmentation and/or implant placement must be considered prior to fabrication of the prosthesis. 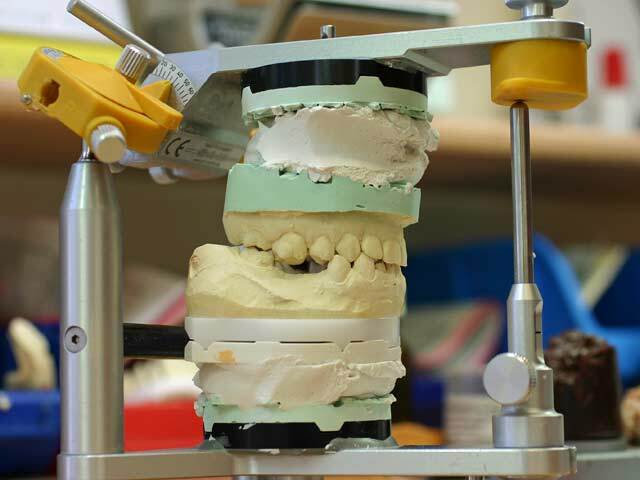 Since the preparatory work may sometimes take several months, the prosthodontist prepares a high-quality temporary prosthesis for the transition period. Here you see a prosthodontics Video.